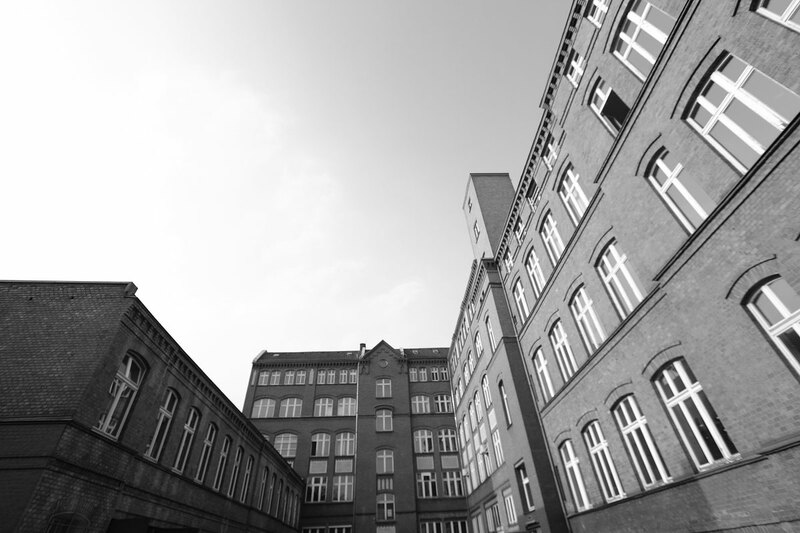 Media Factory in Berlin's city quarter Wedding is an extensive mixed-use development of a large early 20th century industrial warehouse, transforming the centre of a typical Berlin city block into a new urban amenity. 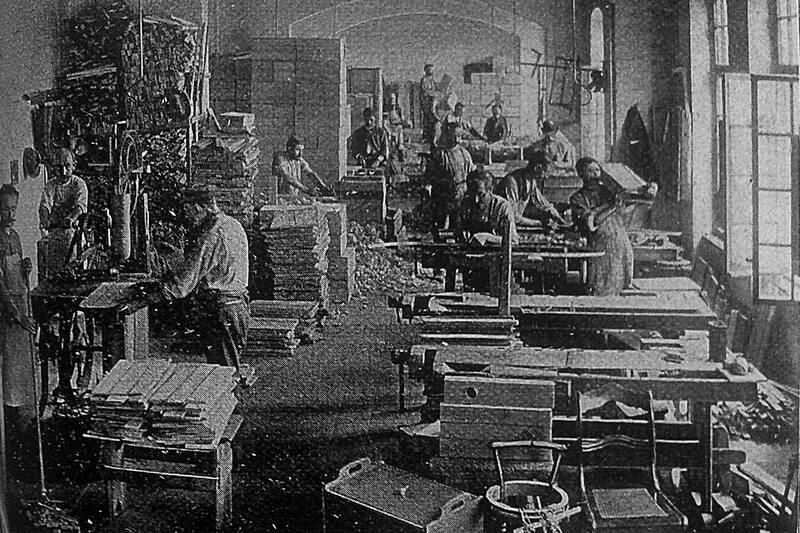 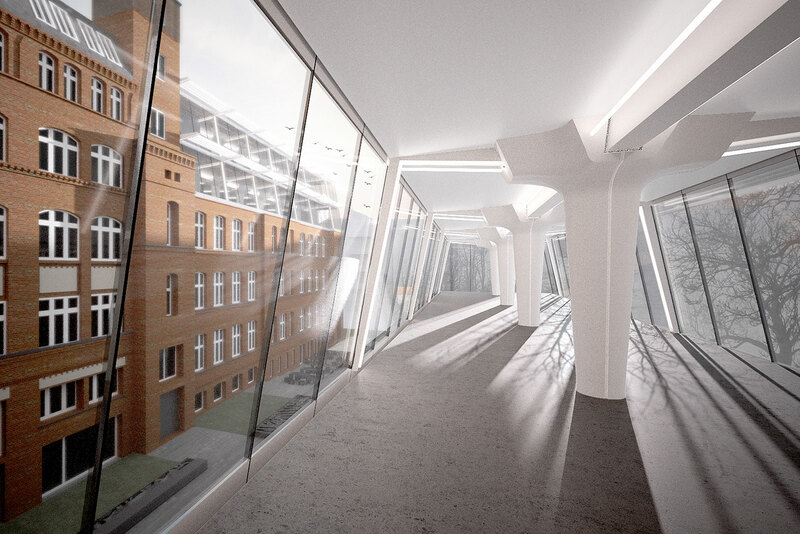 Originally built as "Arbeiterkolonie", one of the city's social institution to provide accomodation and employment space for workers in need at the turn of last century, our design seeks to offer a range of modern flexible and efficient office spaces within the historic structure. 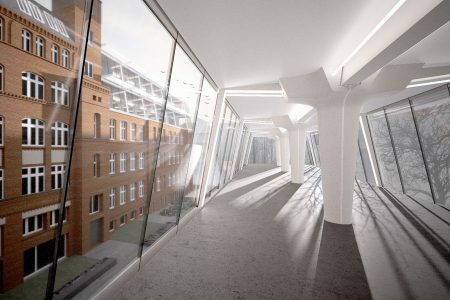 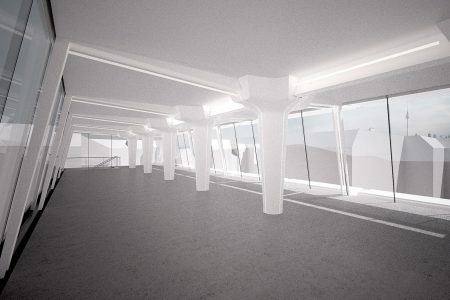 The proposed internal spaces feature timber flooring, exposed brickwork and fair faced concrete whilst the scheme on a city block level enhances activity on ground floor by providing meeting spaces for workers, visitors and residents. 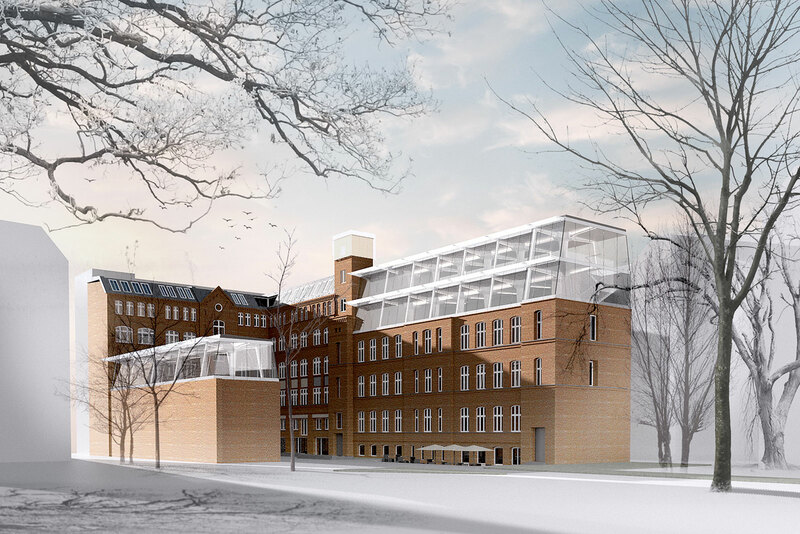 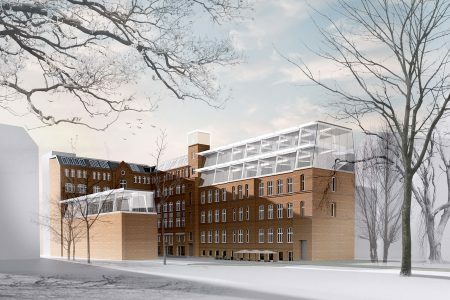 The transformation of the building features glazed rooftop extensions to two of its wings, providing a contemporary contrast to the historic textured brick facade and offering spectacular vistas over Berlin’s roofscape. Media Factory is part of a larger urban redevelopment scheme overseen by Patalab that aims to create a sustainable quarter of high-quality living, working and recreation. 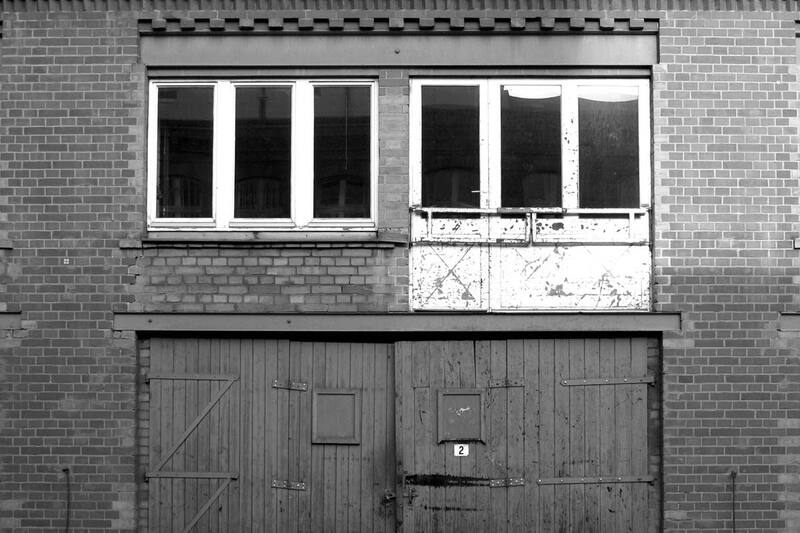 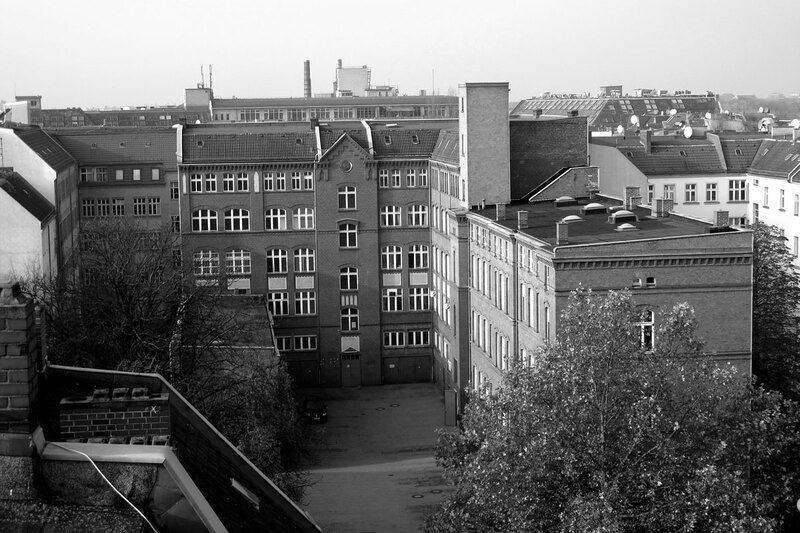 During the first phase the nearby apartment building on Oudenarder Straße 29 was modernised, providing contemporary living accommodation with closer links to the outdoor. 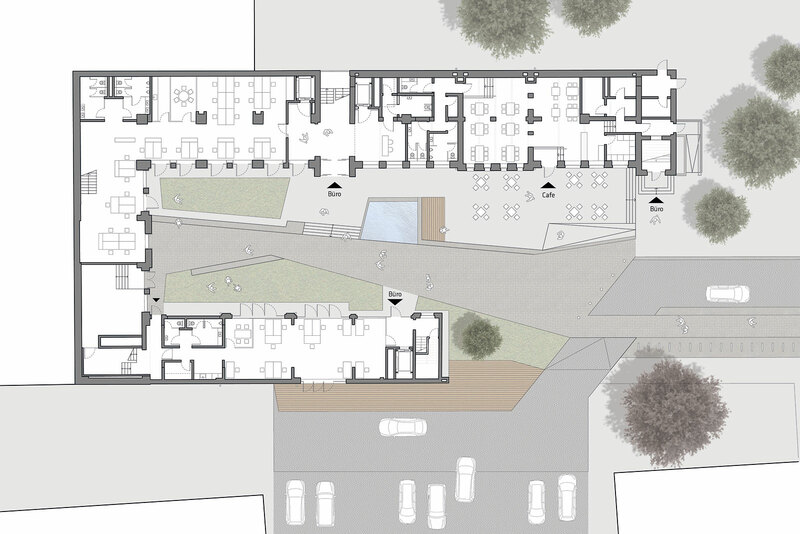 The next stage of the realisation of our Masterplan is currently on site and includes the renovation of 40 apartments in two residential buildings on Reinickendorfer Strasse.